You only need one Storypark account to access all your children's profiles, whether you have one child or 15. If you accepted an invitation to Storypark from your child's teacher they may have already added one or more of your children. If so, you should see your child or children’s names in the opened menu when you are logged in. Your child’s teachers will need to send you separate invitations for each child. Click the ‘Accept’ link in the email invite you’ve been sent. Log in with the account with which you've already signed up. All children should now appear in the menu. 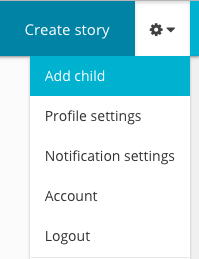 If you select '[Your child's name] doesn't already have a profile on Storypark', your child will be added for the first time. If you select 'This invitation is for [Your existing child's name]' you will simply be linking the new early learning service to your existing child's profile in Storypark. 1. Click the settings button that looks like a little cog at the top of the page. 2. From the drop-down menu select 'Add child'. 3. 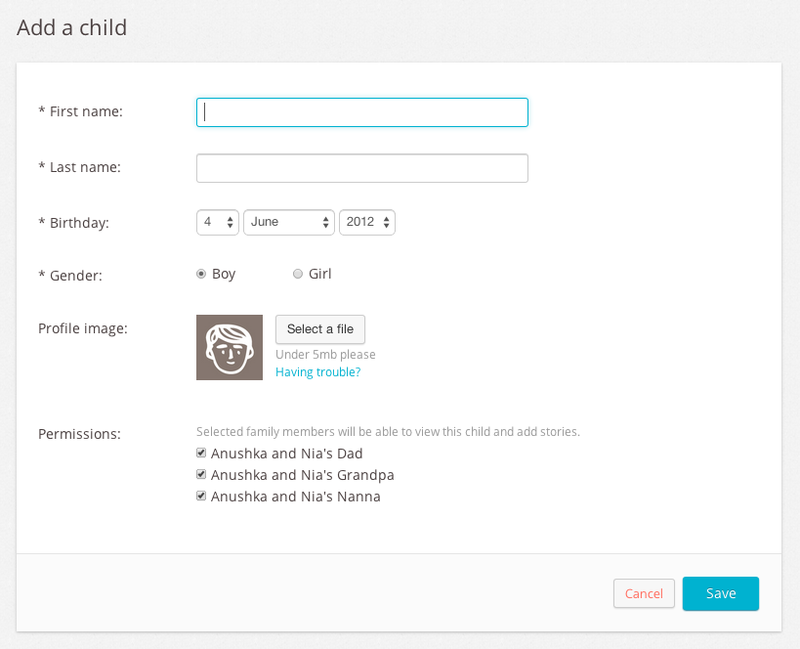 Complete the simple form, adding your child’s name, birthday, gender, profile image and permissions, ie. those in your family that you wish to grant access to your child’s profile. 4. 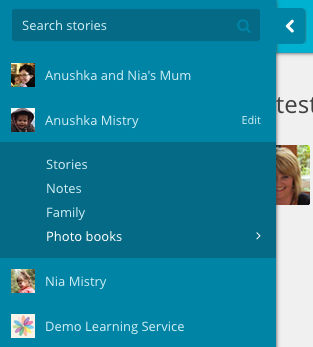 Click ‘Save’ and you’ll be taken to your child’s profile page where you can create stories and notes about them, and invite family members or an early learning service.